Well, soup season has officially entered the building! Its gloomy, dreary and perfect for a warm bowl of yum. Potatoes and ham are sort of a dream-team, in my book. Rat-packish. Olympic-worthy. Peanut butter and jelly-like. Rich, starchy potatoes are the perfect complement to salty, slightly smokey ham. The flavor combination is a match made in heaven, for me. But white potatoes aren’t necessarily my first choice in vegetables, nutritionally. 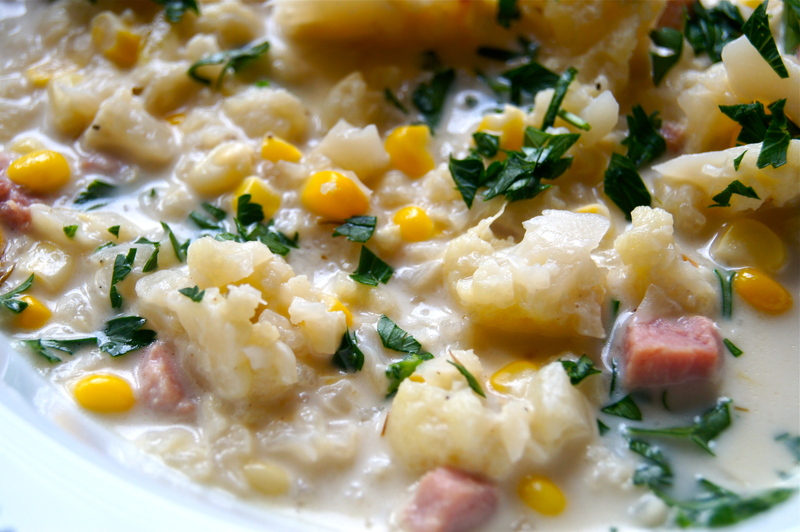 Love them in moderation…but I was on a mission to find an alternative to a ham and potato chowder that my family loves so much. Mission accomplished. Enter: Cauliflower and Ham Chowder. Eliminating the potatoes and adding in cauliflower was a total success. 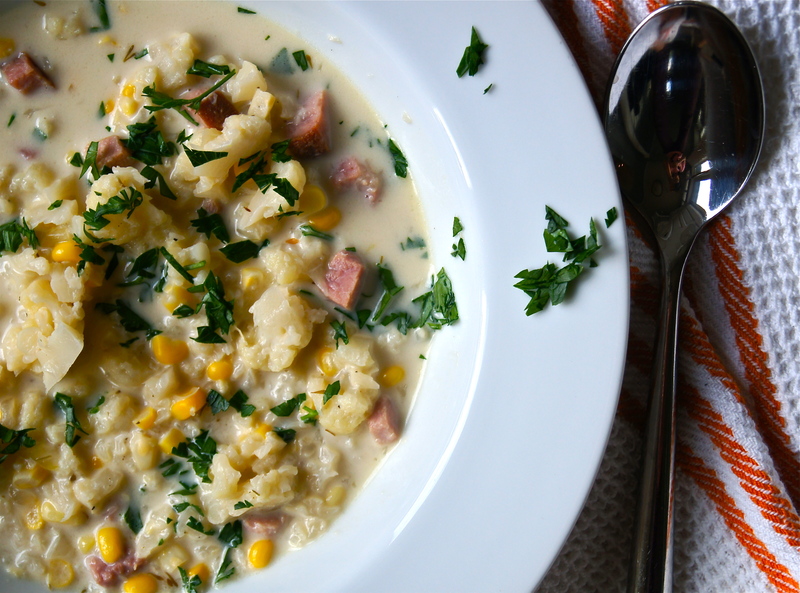 Sweet corn, saltfully delicious ham and hearty cauliflower that just so happens to be a nutritional powerhouse? The dream team, redefined. All you need is a few simple ingredients and 30 minutes of time, max . A perfect way to amp up the nutrition factor without paying the price on taste. Its rich and delightful. Gimme gimme. note: I always opt for a ham that is free of added nitrates and nitrites. This is a favorite of ours but I highly recommend any variety from Boars Head. I buy a large piece of it at the deli counter at the market and dice it up when I get home. Coconut cream is shockingly amazing in this, so if you want a dairy-free version opt for that. 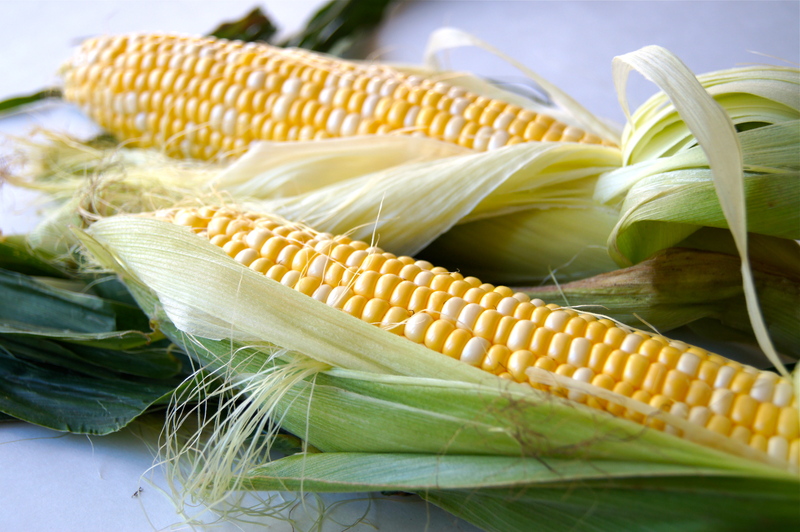 Also, you can swap out frozen corn here but the flavor from the fresh-from-the-cob is unbeatable. Heat the olive oil in a large pot or dutch oven over medium high heat. Add the ham and onion and cook, stirring occasionally, for 4-5 minutes or until onion begins to soften. Add the garlic, salt and pepper and cook for one additional minute, stirring often. Stir in the cauliflower. Add the chicken stock and bring to a boil. 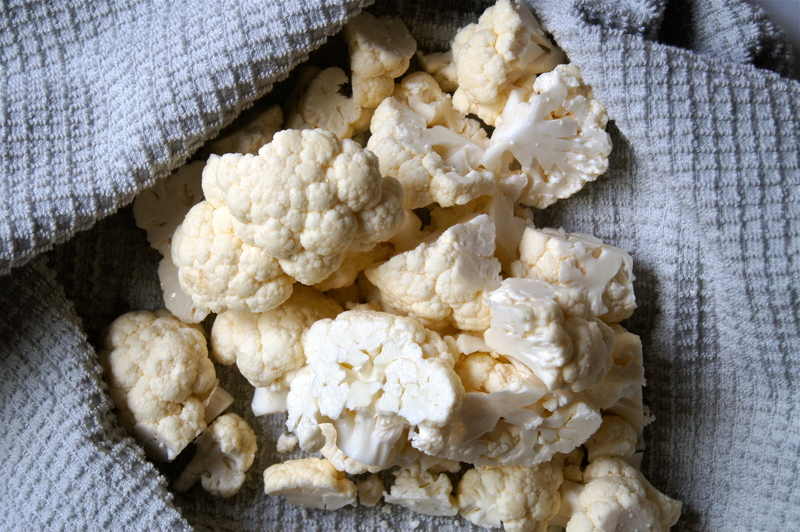 Reduce the heat to medium low and simmer for 10-15 minutes or until cauliflower is tender and cooked through. Stir in the corn, red wine vinegar and cream of choice and simmer for an additional 2 minutes. Season to taste with additional salt and pepper and garnish with fresh parsley. Serves 4-6.